The first weekend in June is typically wrought with excitement. Watching brackets, discussing teams, figuring out lineups, planning for Omaha. But this week feels different. The excitement that usually precedes the NCAA baseball regional is just not there. Not sure if it is expansion talk, lowered expectations, or being placed in a regional with two other state schools, but the fervor is missing. At least from the good guys. In many ways, I'm glad. Let USC have their fun. Let them soak it in. They've earned it. Back to back championships is huge. And they are currently in the midst of their finest 2-3 years ever. They'll need these memories for the next 100 years once they return to mediocrity. And maybe Clemson or Coastal can start that process this weekend. Let's take a look at what's at stake, who has the most to gain, the most to lose, and what will probably happen. If they win they will host the winner of the Charlottesville Regional, a regional in which every team looks beatable, and advance one step to closer to a return to Omaha for a shot at a three-peat. This would be USC's 10th overall Super Regional, all within the past 13 years. There is also this little NCAA-best winning streak, which currently stands at 16 games. Though I think USC would sacrifice the winning streak to advance through the regional, keeping it intact while sending Clemson and Coastal home would be icing on the cake. 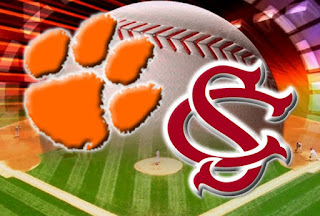 If Clemson should win the Columbia regional, they would likely be forced to travel again for the Super Regionals. Should UVA, the #1 seed in their home regional win, they would host the Tigers, a team they've already beaten four times this year. By winning the Regional, Clemson would reach the Super Regionals for the 10th time in 14 years. Clemson would also have the satisfaction of ending USC's season, winning streak, and chance for a three-peat, along with sending Coastal home and keeping them in their place. Should Coastal win the regional, they would also likely be forced to travel, unless a major upset occurs. This would be their 3rd Super Regional, which is quite an accomplishment. Coastal would also gain national exposure and major bragging rights as they carry the state banner forward, without being in the shadow of USC or Clemson. And in doing so, they would end USC's winning streak and start a long offseason for Clemson fans and their coach. What would a Manhattan win in this regional mean? To quote Bubba Watson: "I don't know. I never got this far in my dreams." The number one seed and host school is expected to win. And while performing up to, or even exceeding expectations, is great, it doesn't gain you much. Emotionally, Clemson has the most to gain. They can exorcize the demons of past Omaha failures all the while ending USC's win streak and chance for a three-peat. They would have the opportunity to celebrate on their hated rivals field and do Cadence Count all through Columbia. But Clemson already has respect and a national presence. And while winning this regional makes the fans, and maybe even the coaches, feel better, it doesn't drastically change the series of their program. No - that opportunity rides with Coastal. Coastal has an opportunity to become a major player in college baseball. Clemson generally owns the upstate and USC the midlands. But the coast is wide open. And Coastal can lay claim to it. If they can pitch their way through the weekend, they have the chance to make their first College World Series. And they can say they did it on the backs of the big boys. This may not be a Hickory story like Hoosiers, but for this state, it would be close. And it's theirs for the taking. And they have the chops to do it. In the same way USC has very little to gain, they have everything to lose. Clemson and Coastal are supposed to be minor speed bumps on the way to Omaha. And if they falter, not only will their streak and chance for three-peat be over, they will have to watch one of their rivals play in their place. Also, USC has made great strides in the last decade against Clemson, if not surpassing them. For many years, Clemson has had a comeback for any USC jab. But no more. Now USC is doing the jabbing and Clemson is against the ropes. And all that could be gone in a weekend. For Clemson and Coastal, expectations are not high. They are hoping to play well, but have no ideas of grandeur. They'd probably both settle with eliminating the other and ending USC's winning streak. Clemson fans have a tendency to be rough on their boys. To get down on them a bit when things don't go our way. But as I said earlier, this week feels different. And in this case, different may be good. The Clemson fans haven't fully vested themselves in this weekend. It feels like the pain of the past still lingers. And without them being vested, the pressure is off. And with the pressure off, I expect Clemson to be loose and play well. But how well? Well enough to defeat Coastal's ace, and potentially the best pitcher in the nation? Well enough to then defeat Roth, who first made his name against Clemson in 2010. Well enough to then defeat one of these two a second, and final time? I'm not so sure, but I'm afraid the lack of quality bats and pitching depth may be too tough to overcome, especially with quality pitching abounding in Columbia. Clemson finds a way to defeat Coastal on Friday, but loses a close game to Roth on Saturday and then again to Coastal in the nightcap. USC then defeats Coastal on Sunday to keep their winning streak alive along with their chance for a three-peat. Can the Tigers win this regional? Maybe. Potentially. As a Clemson man, I have plenty to be proud of and thankful for. Probably more than most. And I say that in great humility, as I'm constantly reminded of how special this place is. I could speak of Clemson's humble beginnings as a land grant institute, being the first public school in South Carolina to admit black students, and its technological advances to the fields of agriculture and science. But I can't help but wonder how many of those same dreams were never fulfilled. I wonder how many dreams are buried in France or Vietnam or the South Pacific. This place we call Clemson is amazing. And a lot of it is due to our military history, but I can't help but wonder how much better it could have been if every young man who gave their life for this county would have attended. By the end of this decade, the ACC will be forced to apply for bankruptcy. Whether or not they enter willingly, only they can decide. And it will determine their future and their relevance. Currently the ACC has plenty of assets, cash on hand, and the respect of its peers. But this won’t last forever. There are some serious bills about to come due, which will alter their financial position. If it intends to make it as a major player in collegiate athletics, it would behoove the ACC to enter Chapter 11 bankruptcy right now. This very moment. They should follow the standard practices of Chapter 11 and reorganize and restructure. If they do, they could potentially come out a better, stronger conference. However, with all bankruptcies, this would not be an easy task. It would require changes in leadership, strategy, focus, and implementation. Swofford – out. Greensboro – out. Equitable finances – out. Favoritism – out. The good news is history shows us bankruptcies do not always spell doom. Delta & US Airways have emerged from Chapter 11 multiple times. GM, Lehman Brothers, and Washington Mutual all just emerged following the recession. Also consider folks like Abraham Lincoln, Walt Disney, and Henry Ford. These guys all made their mark after bankruptcy, not before. And the ACC can do the same. However, if the ACC is unwilling to enter Chapter 11 bankruptcy, it will ultimately be forced to enter Chapter 7 or 13. If it sits back and does nothing, it could very easily be in Chapter 7 before the end of this decade. 3-4 teams would leave for the Big XII, another 1-2 to the SEC, and another 2-3 to the B1G. If this happens, there is nothing left for the ACC to hold on to. It will have to liquidate its remaining teams and dissolve, which essentially defines Chapter 7. Even if the ACC can convince some teams to stay, it won’t be able to keep them all. And the teams that do leave will relegate the ACC to a lower level, on par with the Big East, Conference USA, or Mountain West. The relegation to a lower tier conference would follow with the removal of its chair at the big boy table. And it’s still forced to enter bankruptcy - Chapter 13. It would retain some of its assets, keep its driver, but it will still be upside down. And it would never be the same again. So the ACC, and its assets (or debtors if you look at like the administrations of Clemson & FSU), have some decisions to make. None of them are pretty. None of them are easy. And none of them are certain. But if the ACC recognizes it has a problem, enters Chapter 11 willingly, I believe it will come out stronger, more focused, and in better position. And I think its assets/debtors will give them the benefit of the doubt and look forward to a long, mutually beneficial relationship. If the ACC’s ego gets in the way, well, let’s just say they’d better seek advice from Enron, Adelphia, and MC Hammer. Rumors about Clemson and the Big XII are swirling like Milhouse’s hair at Springfield Elementary. And there are fantastic resources devoted to finding out the truth. But that’s not us. Here, our job is to look at all angles and figure out what is best for Clemson. The university, sports departments, alumni, and its fans. Is the ACC the right place for Clemson? Giving the ACC a “buy” rating means there is value in the ACC at or above the investment price. This option means we solidify the base, search for other teams to strengthen the conference, and lead the way into the future. Currently, Clemson has 1/12th of the shares in this conference (1/13th once you pay the house), which will pay approximately 17MM in annual dividends (TV contracts). The problem with this model is that Clemson generates more than a 1/12th percentage to the bottom line. Analyses of the TV contracts show nearly 80% of the revenues are football generated; meaning approximately 13.6MM of the 17MM in dividends is a result of football related income. The issue: Clemson is consistently a top 2-3 product for the ACC in football revenues, generating over 20% of said revenue, which stems from viewers to attendees to product purchasing. 20% of the annual football revenue would be approximately 32.5MM, or nearly 2.5 times Clemson’s current payout. So, to buy stock in the ACC means having the ability to “flip” the model to make it friendlier to those earning the revenue. This is not the current MO of the ACC, but to buy stock in the ACC and lead it into the next phase of collegiate athletics, it would need to be. To “hold” the ACC stock is to stand pat. Not necessarily going “All in” with the ACC, but also not jumping at the new and trendy option the other guy is selling. Clemson has been part of the ACC since its formation in 1953 and over the years, the ACC has been one of the most stable environments in all of college football. The ACC, while not the fan favorite of the Clemson base, has been our home for nearly 60 years and has helped to give us everything we’ve ever wanted: national stage and recognition, competitive sports, and increased academic standards. Plus a few things we didn’t want: extra year of probation, following the NAACP ban on this state, and overt favoritism of the Triangle. To leave this behind is scary. Quite scary. And is not a decision that should be taken lightly. Selling a stock says one of two things about you: you’re desperate (for cash or stability) or there is nothing further to be gained by owning the stock. Generally speaking, Clemson is not in need of cash. They have 17MM reasons not to leave. However – stability is another issue. The ACC is at a crucial moment in its existence. An existence that is used to containing multiple show horses is slowly being relegated to a one-trick pony. Does leaving the ACC for the Big XII provide stability? Yes. Is it long term? Probable, but not certain. Remember, this time last year the SEC and Pac-12 were on their way to 16 and the Big XII was to be disbanded. What's to say something similar won't happen in the next 12 months. It won't take long for people to begin getting sick of Texas the way they are UNC & Duke. Also, there is an intrinsic, relational hurdle to overcome in leaving the ACC. The majority of our memories have occurred as members of the ACC. 1 National Championship, 14 Conference Championships, 13 Bowl Wins, 29 straight wins over White Meat, and 56 straight losses in Chapel Hill. Leaving the ACC means leaving the quiet comforts of home, saying goodbye to a century worth of rivalries, and losing footholds in key recruiting states. But the promise of security and a seat at the big boy table is pretty enticing, but will the grass actually be greener, or just painted as such? There is a serious amount of smoke on the horizon regarding conference realignment. Enough to make the Clemson Board of Trustees hold an unscheduled meeting. Enough to get other Clemson leaders talking. Enough to begin drawing national attention. As such, the leaders of Clemson University and its fans have a very serious decision to make. The ACC has been a good, if not great home, for this University for nearly 60 years; however, there is not enough trust in the leadership and the current state of affairs to give the ACC a "buy" rating. It is simply not a good investment. This doesn't mean Clemson should leave, but at a minimum, it should be listening to all offers to determine what is in the best interest of the future of this school. If that is the ACC, then let's move forward with some serious changes and reestablish ourselves as a dominant conference. I for one hope the ACC goes the way of the Pac-12 and Big XII: hire new leadership, increase media savvy, be aggressive, and look out for the best interest of all its schools, not just the locals. If the ACC is willing to commit itself to doing what is needed, then I would be willing to hop on the train. However, if the ACC is unwilling to change, then it's time to rally the Seminoles, Jackets, Hokies, and Terps to head west. Change is always better with friends. And Clemson will need some to make this work. And regardless of what happens, there should be no regret. Only the promise of a better, more equitable future - wherever that may be. We would love to hear from our readers. We want your feedback on what you might like to see on the site. Over the next week or so, we will be adding different features to the site that we think you all will like. Please use the COMMENTS link below to leave us your comments, ideas and suggestions! GO TIGERS! 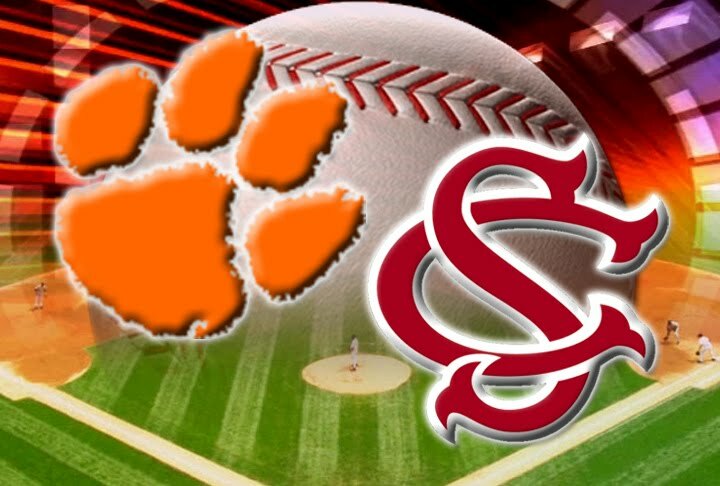 The Friday before the game was donned Carolina-Clemson day (you know right of way where loyalties lie based upon which team comes first when naming the game) and we were encouraged to wear garnet or orange to support our team. This brought confusion when a few friends showed up in garnet. I’d never really consorted with people from that other school. Should I treat them the same? They could still be my friend, right? And that team couldn’t be that bad if my friends liked them. The orange. The orange my mom and dad proudly wore. The orange my mom’s mom and dad proudly wore. The orange I chose then to proudly wear. Since that day, I never looked back. I met a girl that wears orange. My two little girls wear orange (and purple). My boss and coworkers wear orange. Even my pastor wears orange. I know what it means to wear and share the orange. And this will be a place to do just that. To examine ourselves, remember what makes Clemson so special, and have a good bit of fun at the expense of our Gamecock, Dawg, Jacket, & Heel friends. So please check us out, drop us line, and let us know how you're doing. And if so inclined, how we're doing. You can reach us by email at thetigerswag@gmail.com, twitter at http://twitter.com/#!/thetigerswag, and facebook at http://facebook.com/thetigerswag.